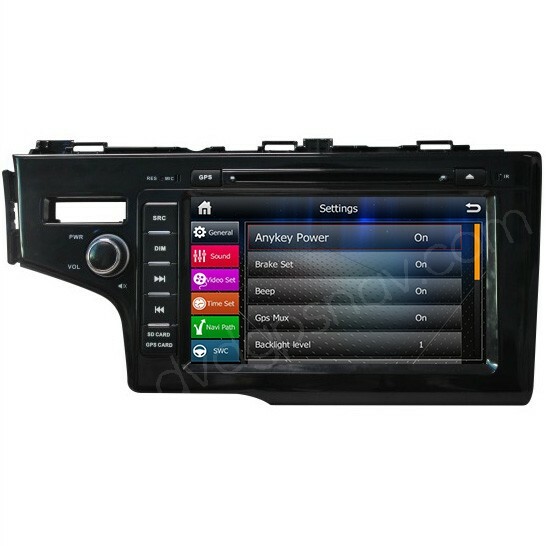 If your Honda Fit does not have factory navigation system, you can replace the factory radio with this aftermarket Honda Fit head unit, installation is very easy for a professional technician, plug and play. 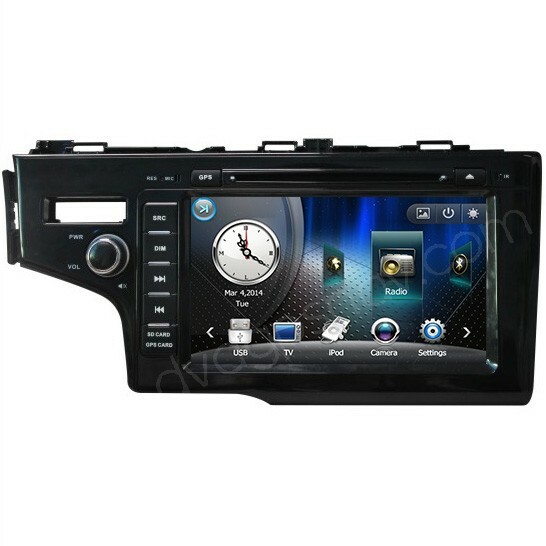 Buy Honda Fit DVD player GPS navigation now get a 8GB SD card with IGO GPS maps for FREE! This is the new double din car dvd player for Honda Fit 2014, 2015 year model, with 8 inch large HD touch screen. The new Honda Fit DVD player can support Bluetooth handsfree phone calling, Bluetooth music A2DP, GPS navigation system, DVD player, FM/AM radio, etc, which makes Honda Fit more appealing and beautiful riding. If your Honda Fit does not have factory navigation system, you can replace the factory radio with this aftermarket Honda Fit head unit, installation is very easy for a professional technician, plug and play. If you are not familiar on how to install this Honda Fit navigation DVD, you'd better asking a technician to install for you. Available for USA, Canda, Australia, New Zealand, Most Europe countries, South Africa, UAE, Singapore, Thailand, etc. I decided on this unit because my 2014 honda fit could maintain something closer to a stock look. Installation was silly easy, I got it done in about 1-2 hours, the touch screen is great and it even has a remote, bluetooth works well with my iphone and music, besides, navigation runs smoothly.